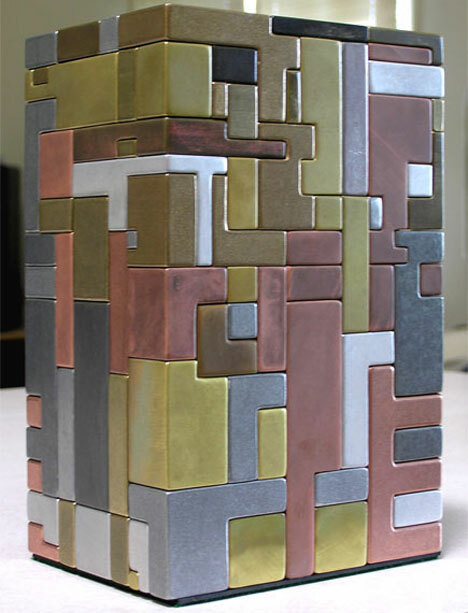 At first glance, this chunk of metal looks to be not much more than a colorful sculpture. But it holds an impressive secret: it’s a 125-piece puzzle that comes apart to reveal all of the pieces needed to build a .45 caliber pistol. Created by talented metal sculptor GarE Maxton, this 40-pound behemoth is called The Intimidator. Maxton creates intricate metal sculptures with interlocking parts, and The Intimidator is an exceptional example of his handiwork. The sculpture took a year to build and contains not only all of the pieces needed to assemble the gun, but tools to build it and ammunition for the pistol as well. Maxton was inspired by the gun carried by Scaramanga in the James Bond movie “The Man With the Golden Gun.” The gun in this sculpture was originally intended to be a .25 caliber, but as the piece began to take shape it eventually morphed into a muzzle-loading .45. A magnetic key is used to open the first piece of the puzzle, then a lever is pushed to lift a piece on top. 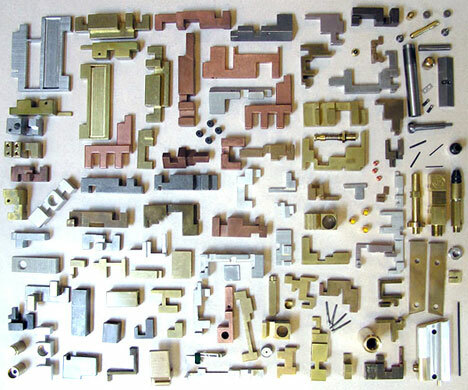 From there, the puzzle can be disassembled piece by piece. 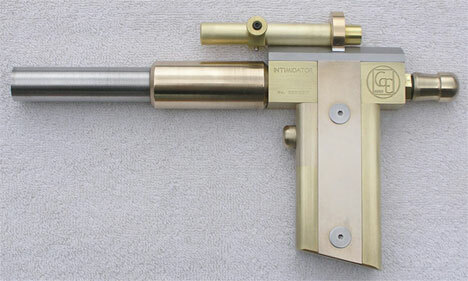 Inside, you’ll find stunning metal bits that interlock in unusual ways to create the hidden gun. It’s been called one of the hardest puzzles on the planet, and watching the video above makes it easy to understand why. It’s an incredibly well-made and intricate piece…and yes, the gun really does shoot.